We visited my family in Ohio this past weekend. As we have done many times before, we loaded our bags into the trunk in that haphazard way you can do when you’re driving. We put the cooler with bottles of water and the bag with snacks within my reach and we were ready for our road trip. We’ve had the same basic routine since we started making the drive from Chicago to Ohio in 1995. We’re done with portable cribs, strollers and bags of baby toys, but we follow the same pattern. We drove the same route we always take to my parents’ home and as much as I was excited to see my parents especially my father who I hadn’t seen since Christmas, being in the car as a family without Jordan is hard for us all. Mark, the kids and I have taken car trips since Jordan’s death. On many of them I can assuage myself by saying, “Jordan probably wouldn’t be going with us anyway.” I can’t play that same trick when we go to see my parents. 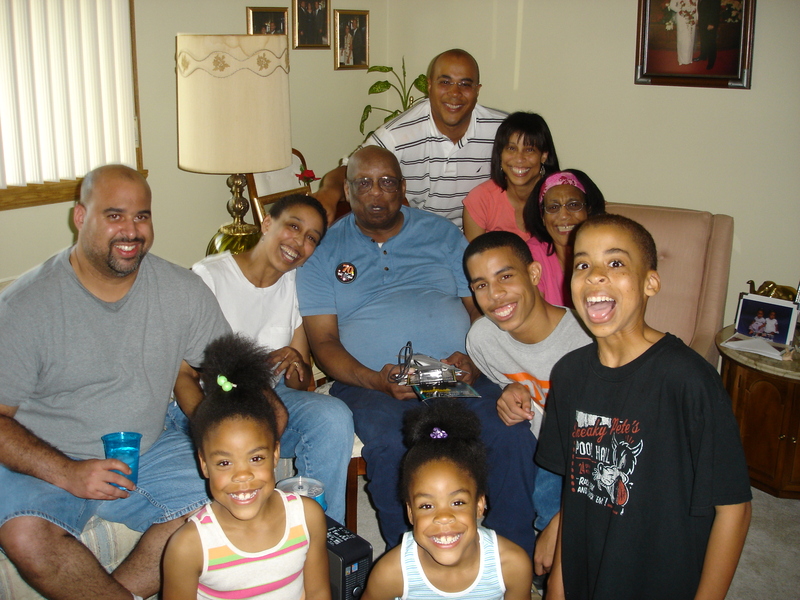 There was never a time when he was alive that we went to Ohio without all of us going together. No tricks work. When I look back from the front seat at my kids, the change in my little family is glaring. There is an empty seat. We all work to make Jordan’s absence not hurt so much, but we all feel it. 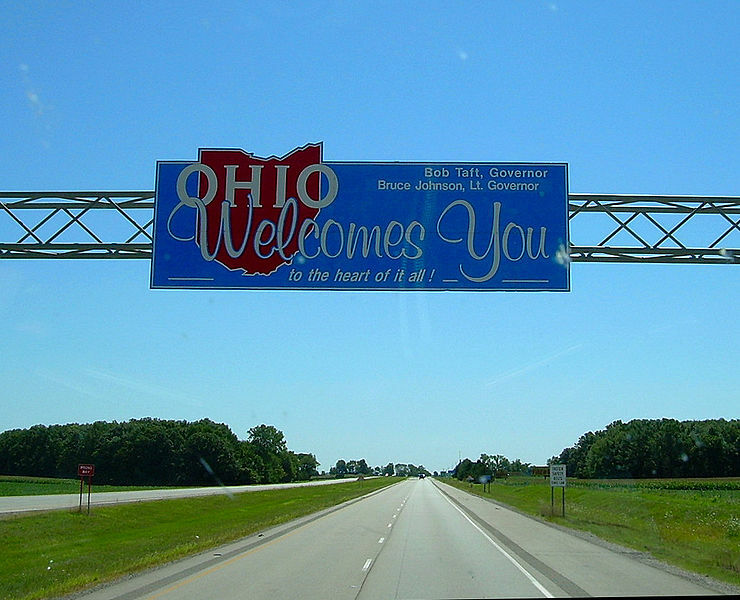 Since Jordan died, we have been to Ohio a handful of times. It is getting easier to go as five instead of six but there are still parts of the trip that are traumatic for me. During the car ride, I silently pray that we don’t come across any accidents or see any ambulances racing by with sirens blaring. Those images are visceral and make me feel as though I’m at the scene of Jordan’s accident even though the only information I have about that night is from the accident report. I’m trying to learn how to look out the window without letting my gaze fall onto the guardrails. If I look at them too long, I’m mesmerized. I start to think about Jordan’s accident. I imagine the car he was in breaking through the guardrail and careening off the overpass dropping 20 feet. I watch each guardrail as we pass it and I say silently to it, “Why didn’t you hold, why didn’t you hold, why didn’t you hold,” until I have to close my eyes to shut out the thoughts. I can’t stay with my eyes closed too long though, even if I need to rest. I immediately start to think of Jordan’s last time in a car. I wonder as I lean my head onto my hand, how his head was resting when he died. I try to figure out a way to save him. I think if I could only change the way he was sitting, or wake him up before the impact (Why didn’t I call him? ), I could make him come back. These thoughts are a part of my, “Magical Thinking.” There always comes the point in my desperate attempt to revise the truth, when I force myself to open my eyes and come back to my new reality. I’ll reach over and grab Mark’s hand. He’ll squeeze mine, glance at me and tell me it’s going to be okay. He fights his own demons as we make this drive. Going to visit my parents provides comfort food, no scheduled activities and more love than we can hold. 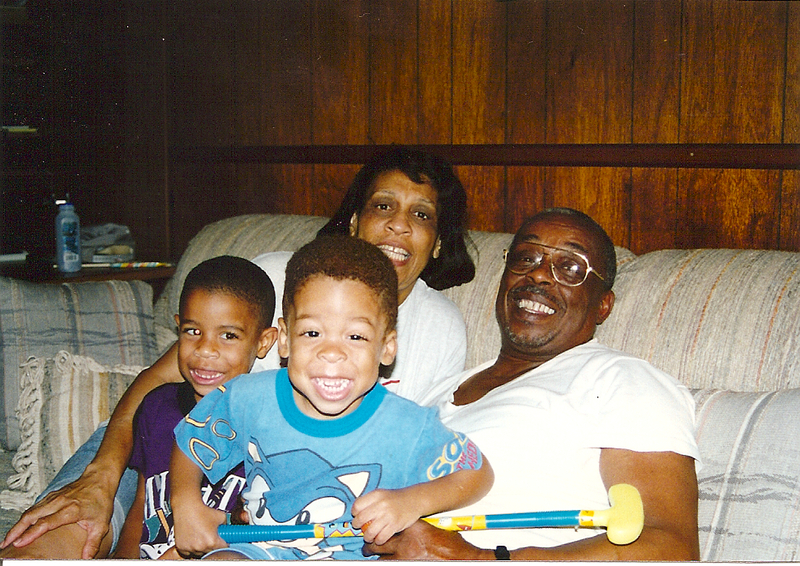 Mama and Daddy have always made coming home mean being nurtured, especially since I’ve had my little family. When we visit and Mark and I are worn down and so tired we can barely stand, they express their love for us in the way they know how. They cook our favorite foods and they let Mark and I sleep in without guilt or worry as they watch over our children. They still live in my childhood home. The home I was raised in from the age of 2. Even with the changes to the neighborhood, there are still more houses on the street where I can name the families that live there than not. There are no perfect people or situations. My visits home are not always idyllic. My childhood home base however remains a secure place for me. We continue our drive and finally come to my parents’ street. Lindsay or Kendall will say, “Mama there’s your elementary school,” which is at the top of the block. We make our way down the street and pull into the driveway. The girls race to the door to be the first to ring the doorbell as Mark and Merrick grab bags to bring inside. I partake in my new ritual of sitting for a moment and taking a few deep breaths. I’m glad to be home. I have to make time for the disbelief that clings to me as I reckon with the fact that our new mode of travel to Ohio is without Jordan. Mama stands holding the door open hugging each of us as we come in. She briefly looks into my eyes as she hugs me trying to gauge how much heartache I’m carrying. I hug her and see my father standing in the family room. I go to him, accepting his big embrace and lay my head on his shoulder like I did when I was young. I tell him, “I’m glad I’m home.” He simply says, “It’s good to see you baby.” I then tell him I’m tired and want to lie down. In his signature joke that he’s always used he replies, “This ain’t no rest home now. You can’t just come here and eat and sleep.” And so with another typical ritual my visit begins. There are the sounds of my family all around me, interwoven with memories of Jordan in pictures throughout the house and the stories we all tell. It’s good to be home. Picture taken at Mama and Daddy's house on Daddy's 70th birthday.Mark and I are standing behind my parents. My sister and her husband are to the left of my father. Last picture of Jordan taken at my parents' house. 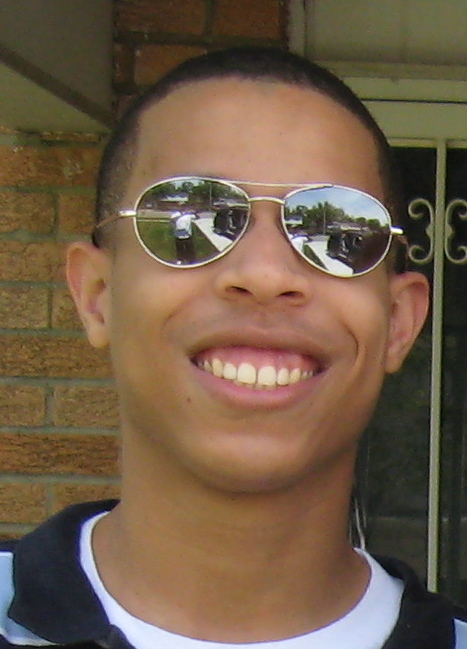 Image of Jordan's dad is reflected in Jordan's sunglasses. 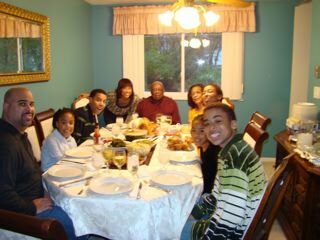 Our last Thanksgiving with Jordan. Mark is the photographer. Every year since Jordan and Merrick were young, well before my daughters were born my parent’s home in Ohio has been the place we’ve spent Thanksgiving. The drive to my parents’ home was always a fun-filled time for our family. My greatest pleasure and comfort was looking back into the car as we started our journey and seeing my little family safely together and all within reach of me. I would always look at Mark and smile. He would always say to me, “I know, you love when we’re all together and have uninterrupted time like this.” He was right. Everything in my world felt right as long as I could look back and see my children, and reach over and touch my husband. All I really needed was in that car. When we’re coming for Thanksgiving my parents start to prepare weeks in advance. My mom calls me from the grocery store asking what cereals the kids like, and what types of drinks to buy. She wants everything to be perfect down to the exact brand of items that we use at home. She wants us to walk in and leave worry outside. Mark and I used to joke when the kids were younger that going to my parents’ house was like going to a bed and breakfast. 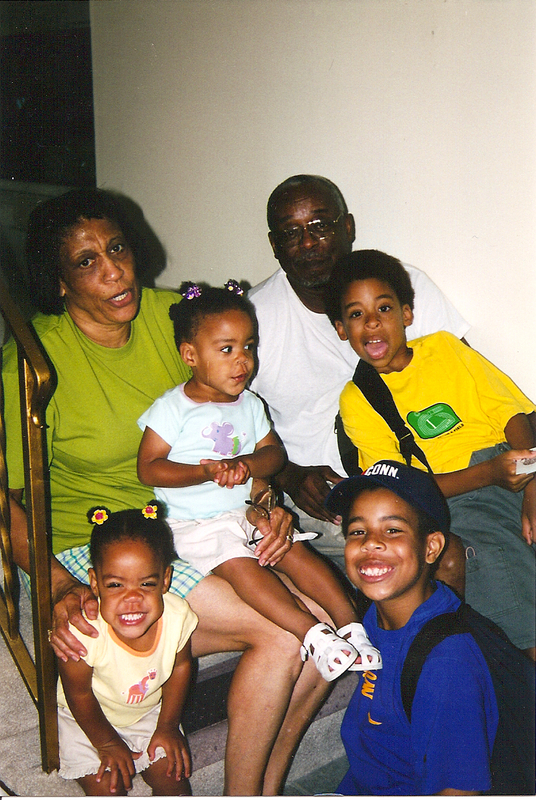 We could sleep as late as we wanted because when our kids woke up Oma and Pop were there to take care of them. When Mark and I finally roused ourselves from bed realizing how tired we had been, there was always breakfast waiting for us. Going home for Thanksgiving has always meant being cared for and nurtured and definitely fed. It’s not a Norman Rockwell painting by any means, there are spats, and people being short with each other, and never enough room for all the cooks in the kitchen, but it’s home. Tradition holds a significant place in my family. My father always carves the turkey, I make the cranberry sauce, and a few other side dishes, and my sister always tries one new vegetable recipe and sets a beautiful table that could be photographed for any home magazine. My mother makes the dressing, cakes and potato salad. My sister has always been the potato salad taster until Jordan was old enough and realized how much he loved it. Then, he too was in on the tasting. One of the cakes Mama always made was a lemon pound cake. It was a recipe she got from my brother-in-law’s grandmother. She learned to make it because Jordan loved it so much and would take chunks that can’t be civilly called slices. Jordan had his siblings convinced that Oma made this cake for him alone and he always said it was “Jordan’s cake”. I finally realized what he was doing and had to convince his siblings that they didn’t have to ask him before getting a piece of cake. Jordan loved Thanksgiving. It was I think his favorite holiday. He loved Christmas too, but loved both holidays for the same reason. He loved having family together and he loved to eat. From his early teen years Jordan had the same Thanksgiving Day ritual. He would eat breakfast, but not too much, and then wait for dinner. No matter how my mother, sister or I tried to convince him that he might get sick if he waited all day and then gorged himself, he would not be moved. Year after year he applied the same strategy, and year after year we would all watch in amazement as this tall skinny kid put away food like 2 grown men. His strategy clearly worked for him. My parents love to cook and nothing gave them more pleasure than watching Jordan eat, and then as Merrick got older watching him try to keep up with Jordan. When we sat down to eat each year Mark blessed the food and prayed in a way that would make any preacher proud. The rituals and traditions don’t stop there. Since the age of four my daughters have been our after dinner entertainment. It is always a pre-planned show that they practice before we arrive. We all gather in the living room and they make their entrance and treat us to their latest variety show. As they got older and learned to read and write they would make tickets and pass them out before the show. They acted as ushers as well as performers. The funniest memory of their performances is the year my father came into the living room and wearily sat down in a chair after cleaning the dishes from dinner (yes, that was another tradition-Daddy cleaned the kitchen every year). My sister was still sitting in the living room and Daddy asked her, “What time does the show start?” She told him, “Daddy you missed it Lindsay and Kendall already did their show while you were in the kitchen.” My father responded with indignation, “Shoot, I’ve got a ticket for a show and I expect a show.” My sister and I laughed so hard we were crying. 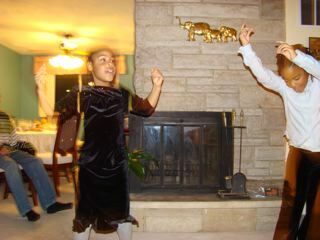 These are the memories Thanksgivings of past years bring. Last year was our first without Jordan and all of my memories are filtered through numbness and grief. I can’t recall too many of the occurrences of that time. The one vivid memory I do have is willing myself into the car so that we could be on our way. The thought of driving to Ohio without all of my children, made me feel like a bad mother. My safe time with my little family had been shattered. It felt like if we went we were leaving Jordan behind; I didn’t know how to do that. We’d never taken this trip without Jordan. I wasn’t sure I could do it. The picture of Jordan I look at and talk too most often. Before we left I went into Jordan’s room and looked at the poster we had made for the memorial service. 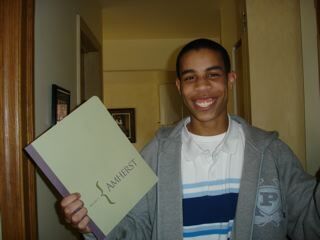 It has the picture of Jordan when he received his acceptance letter from Amherst College. All around the picture are notes of love and remembrance to my son from family and friends. I looked deep into his eyes, touched his beautiful smile and then kissed the picture. Before I made my way to the car I went into the basement and picked up Jordan’s jacket that he usually took back with him to school when he came home for Thanksgiving. I picked it up hugged it and inhaled the hood which still held his scent. I wanted to bring as much of him with us as I could. After I completed these tasks, I made my way to the car. Everyone was in the car, motor running and I finally was able to come out and join them. We were on our way, doing the best we could. Thanksgiving dinner and the time we spent at my parents’ home last year resonated with all of us trying to bear our own grief and take care of each other at the same time. Last year there was no lemon pound cake, Mama couldn’t bear to make it. I don’t remember the girls doing a show. We were all somber and together for the first time since Jordan’s death. We made it through, but filled our time and busied ourselves differently than we had in years past. It was a quiet time. This year as we prepare to go to my parent’s home, my childhood home, Mark has made the request of arriving before nightfall as we prepare for our journey. He wants to make sure we leave early enough in the day so that we arrive before dark. He had the same request last year. Since Jordan died driving on the highway at night has too many shadows and “what if” thoughts. We both look at the side rails and imagine the car our son was in falling over a guardrail 30 feet to the ground. Every time we cross bridges I imagine the car falling in slow motion 30 feet and landing on the right side, the side Jordan was on, before righting itself. I always physically shake my head to clear these images away. The night Jordan and his friends were going back to school, it was a clear night, no fog, and no rain. It was dark but not late. The accident occurred around 9:30 pm. Fatigue caused the crash, it’s that simple and that difficult to grasp. We both wonder why they didn’t pull over or help each other stay awake. Nightfall on the highway stirs these questions and images; we travel during the day to outrun them. This year there is still hesitation and wistfulness as the time draws near for us to make our road trip. Merrick has already admitted that he is having a harder time this year than he did last. 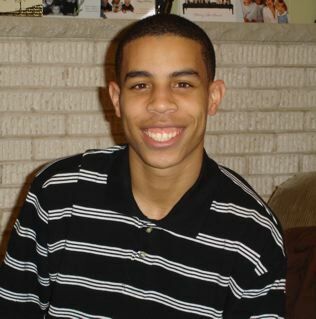 He has repeated to me, “It’s not the same without Jordan.” I comfort him and share his loss and pain. There are, however, emerging signs of hope as well. My daughters have started practicing for their show, and along with my sister are planning a Jackson 5 song complete with dance routine. When I talked to Mama the other day, she asked if I wanted to resume our annual Friday shopping trip which we have done for years, getting up at 6am and at the mall by 7am. I told her yes, this year it sounds like a good idea. She also reeled off the things she has prepared and said without hesitation, I’m making the chocolate and the lemon pound cake. We’re having “Jordan’s cake” on the menu again.